Aesthetic Ottoman Tent is wonderful piece of design which catches attention of every passerby. 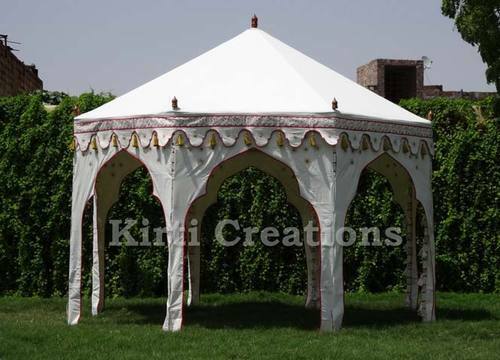 Aesthetic Ottoman Tents are made with finest quality of fabric and are beautifully designed to give a traditional look. Wave designs are on the top edge provide aesthetic appeal and enhance the decor of the gardens by its dazzling beauty.